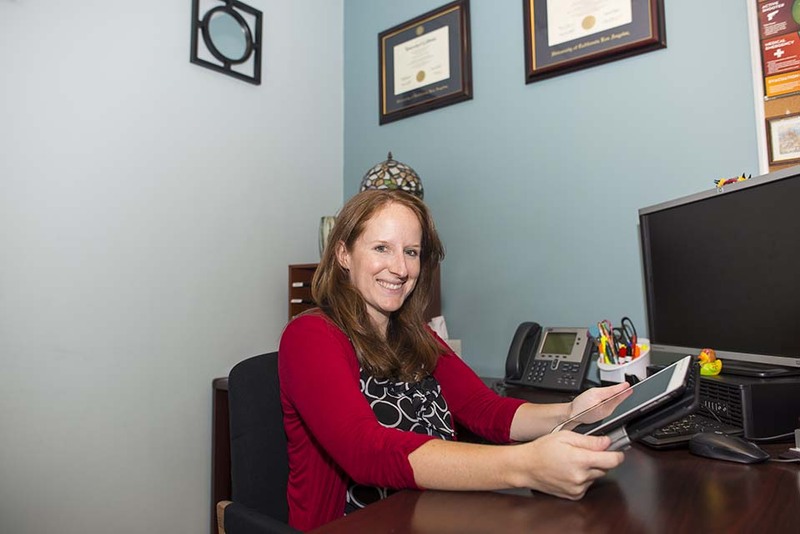 Health and Human Development Professor Kaitlin Bahr was chosen to present her app' "BioStatsBuddy" at the eLearning Showcase presentation back in May of 2017. Photo by David J. Hawkins. At this year’s California State University, Northridge eLearning Showcase, faculty demonstrated how technology can enhance the learning experience of students in the classroom. Presentations included Abraham Rutchick’s Hybrid 2.0: Real-time Online Section (ROS), Kaitlin Bahr’s BioStatsBuddy app and Sally Spencer’s Interactive Simulations: Bridging the Gap Between Course and Career. In this series, CSUN Today profiles each of these projects. This story looks at Kaitlin Bahr’s BioStatsBuddy app. Biostatistics is an academic hurdle all health science majors must conquer at California State University, Northridge. A required course for all health science majors including: public health, health administration, and radiological majors. Biostatics covers the principles, theory and practice of statistical analysis in health. Ultimately, students are taught how to use those concepts in health planning, epidemiological research and experimental research. 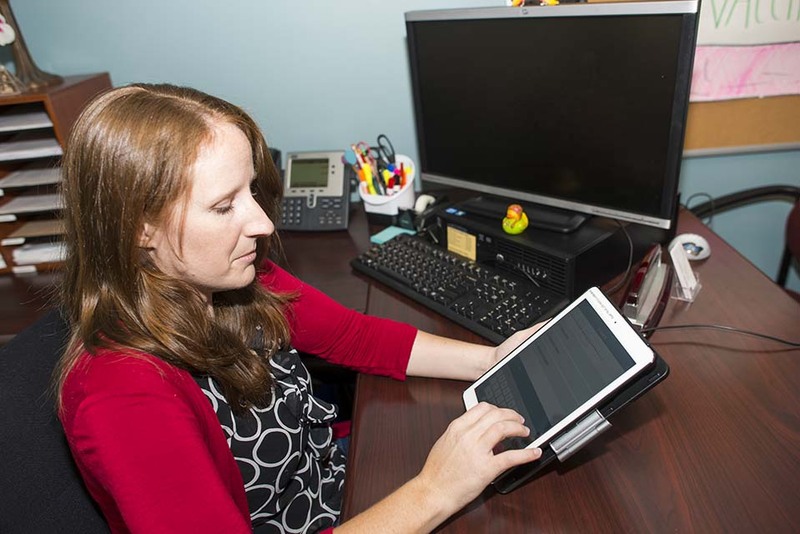 To ease students’ journey through the course, CSUN Department of Health and Human Development professor Kaitlin Bahr created an app to simplify its concepts. The app, BioStatsBuddy, is intended to improve students’ ability to solve equations, improve memorization of formulas and better prepare for exams. Bahr said she was thrilled to learn that the university’s Faculty Technology Center (FTC) could help her create the app, with the help of student app developers. It was her first foray into app development, she noted. Once the app was ready to go in May of 2016, Bahr and the students put it through two beta testing rounds, collecting feedback from [other] CSUN students. The first round was done during the summer of 2016 with eight students and the second round was completed the spring of 2017 during the lab portion of [Bahr’s] biostatistics class. The professor presented the new app at CSUN’s eLearning Lecture in May, a showcase that featured concepts for thoughtful integration of technology and pedagogy. The event also showcased the projects of eight other professors. Bahr said she hopes the app will be updated to a second version with more features. “My hope is to expand it for increasing student engagement to help understand the material and add more practice problems,” said Bahr.